St. Bride's at Watson recently celebrated the 100th Anniversary of their church. 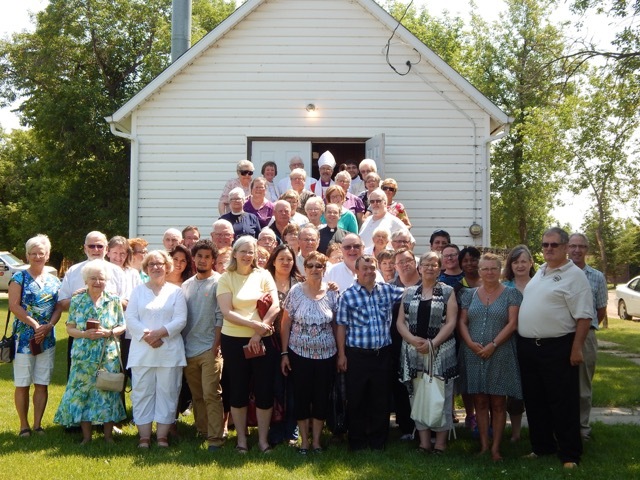 On June 28 and it was great to have a full church with people coming from other Anglican churches in the area mainly Humboldt, Wynyard and Wadena. The music was led by the St. Andrews Humboldt musicians. It was a beautiful sunny day and after the service we all were invited for a lunch in the local community hall. Visitors from Watson town, the mayor and others helped St. Brides celebrate the 100 years giving service to the town and area.